Every once in a while you have the need to have a tree removed from your yard or place of business. Maybe a tree is encroaching on the power lines to your home or has become rotted and in danger. If this is the case then you need the expert tree services that Deltona Tree Arbors provide. 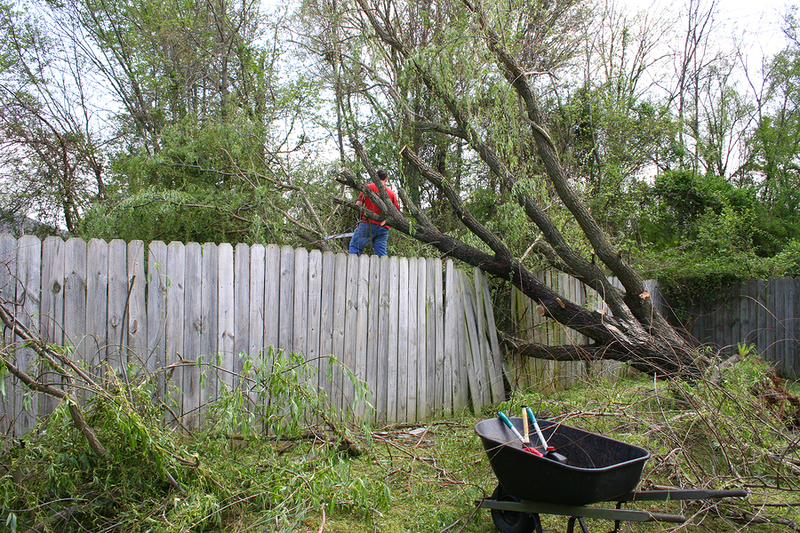 We are tree professionals that service the area, as well the surrounding areas, with tree removal in Deltona, FL. No one who understands the beauty of trees and how they are good for the environment ever wants to see one of these precious resources come down; but there are times when it needs to be done for safety or to promote overall tree health in your yard. This is definitely not a task you want to try and take on yourself. Deltona, FL tree removal takes experience and the right equipment because if it’s not done properly it can lead to injury or death. The professionals at Deltona Tree Arbors have the experience and sophisticated tools to do any size tree removal task efficiently and safely. Trees growing up and out are not the only things that necessitate tree removal in Deltona. 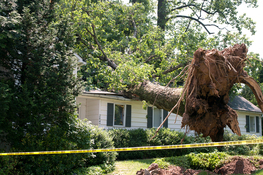 A tree's roots themselves can sometimes cause and extensive amount of damage if left unchecked. If rapid growth of large root structures is not eliminated it can lead to a lot of problems and some very expensive repairs. Such things as root growth making sidewalks uneven, growing thru cracks in septic systems and overtaking foundations must be taken care of as quickly as possible to avoid further damage and future expenses. Being proactive is sometimes the best thing before a big storm approaches and Deltona tree removal is often a part of that. This can sometimes save a home owner thousands of dollars in repairs caused by falling trees during the storm and save a lot of anxiety dealing with insurance companies too. The experts at Deltona Tree Arbors can come out to your home and identify problem trees and take them down before that major storm hits. There really is no need to put off taking problem trees down or trying to do it yourself because Deltona Tree Arbors offers extremely customer friendly pricing. Before the first saw blade even approaches a tree we would be more than happy to provide you with a free detailed estimate for the tree removal to be done. Rest assured you will be pleasantly surprised by our fair and competitive pricing. Call Deltona Tree Arbors today at 386-222-1957 and one of our experts would be happy to come to your Deltona location and give you a free estimate and some sound expert tree advice!